I have been a dog-lover since childhood. I grew up with Silky, a Lhasa Apso, Snooty and Growler, two Spitzes. In the US, Keesha, a Keeshound kept me company. Today our family includes two Champions, Brandy, an Irish Setter, and Isis, the only female Giant Schnauzer in India. I flew with Isis from the USA to Bangalore HAL airport, without any problems, and read the below story in the Bangalore Mirror with considerable sadness. Even today, I will unconditionally recommend Lufthansa for anyone carrying pets internationally. Lufthansa has a fully functional and caring pet transit centre at Frankfurt airport. Vets to check your pet, and caring staff feed your pets, walk them, and let them relieve themselves. The lack of a quarantine station is not just impacting pet lovers, but also the food, restaurant, and tourism industry in Bangalore, since food cannot be imported to Bangalore. Similarly, the lack of an office of the drug controller, forces the entire bio-tech industry in Karnataka, to use Chennai. 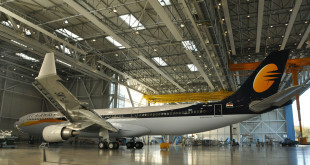 This is despite the cargo operators at BIAL, Menzies Bobba, and Air India – Singapore Airport Terminal Services (AI-SATS), having some of the best cold room and freezer facilities in the nation. One of the reasons given for a lack of the quarantine station, is a measly 10 acres not being allotted by BIAL. I find it hard to believe that BIAL management cannot find 10 acres out of the 4,000 allotted to them. The quarantine station is run by the Department of Animal Husbandry under the Ministry of Agriculture, and the Drug Controller comes under the Ministry of Health. Both ministries are run by parochial ministers, Sharad Pawar and Ramadoss, who will do anything to favour their own state. I am sure you have figured out by now why Bangalore is being denied. I invite your action. Post your comments on this article, write to the respective Ministers and insist Bangalore be given its due. Have a pet and want to take it along when you fly to or from Bangalore via the new Devanahalli airport? Briefly put, you can’t. Reason: The customs department has issued a diktat to all airlines operating from BIA not to allow the transportation of pets; else, they could face legal action. Customs officials have told airlines not to book pets aboard inward or outward flights till the Devanahalli airport gets a quarantine facility. According to the department, such a facility requires a minimum of 10 acres of land. It should be run under the supervision of the animal husbandry department, and vets and other staff should be posted there. Once an animal is booked to fly, it should be quarantined till departure. A pet entering the city should be quarantined till its owner comes to claim it. “BIAL is finding it difficult to allocate 10 acres of land for a quarantine facility. They say there is a shortage of land to set up a second runway and other airport-related infrastructure,” said a senior customs official. 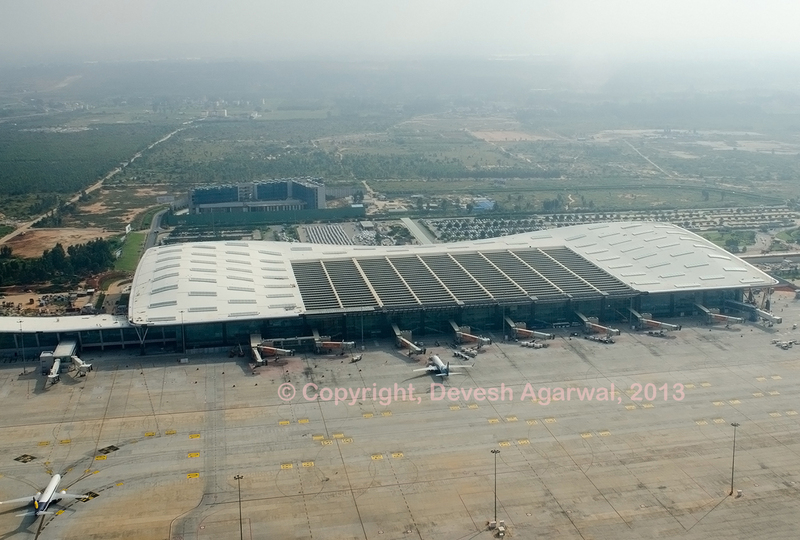 Interestingly, the Devanahalli airport is spread across a humongous 4,000 acres! But pet owners are not convinced with this explanation. “Customs officials allowed transportation of pets through the HAL airport, which did not have a quarantine facility. After the opening of BIA, they have come out with this rule. It is a partisan attitude,” said one pet owner. “Earlier, at the HAL airport, we got a cage of our pet’s size made and booked it through an airline by paying the required charges. Why can’t they do the same at BIA?” he queried. In the circumstances, those wanting to fly with their pets have to resort to the costly and time-consuming alternative of taking the animal by road to the Chennai international airport, which has a quarantine facility. There, airline companies accept the booking and fly the pet to the destination of the owner’s choice. Similarly, owners bringing their pets to Bangalore have to get them quarantined at the Chennai airport first and then take the road route to Bangalore. The customs’ no-no to pets at BIA has not only added to the hassles of individual pet owners, it has also imposed a huge burden on those in the business of importing animals. Faced with the prospect of taking the road route to or from cities like Chennai, Mumbai and Delhi which have airport quarantine facilities, some have decided to give up the business altogether. “I seriously wonder why BIA, despite being an international airport, is deficient in this regard,” said one dog importer who has been in the business for 50 years. Recalling how easy it was to import dogs earlier, he said, “First of all, air travel was not at all expensive. One could easily travel to Bangkok for just Rs 12,000, and doing your shopping and bringing a pet along were the added incentives.” Particularly galling to him was the extra taxi expense he has to incur from Chennai to Bangalore. Even as some pet shop owners have given up on selling imported breeds because of the trouble involved, others remain unaware of the customs’ ban on animal transit through BIA.”I know birds are not allowed to be exported or imported. But it comes as a surprise to me that pet dogs too are not allowed in,” said Shariff from Pet Planet. And what does the BIAL management have to say about the ruckus caused by the customs’ circular? “It’s not the airport but the airlines who have to take a decision. Most of the time, it’s the airlines who don’t agree to carry pets,” was a BIAL official’s bland response.